The Tembusu Group was founded in 2004, when our first company Tembusu Ventures Pte Ltd was incorporated. We started off as a venture firm that was focused on growing young companies in Singapore. Each of our companies is driven by an innovative competitive edge, energised with a vision of market possibilities, and powered by a passion to succeed. Along the journey, we morphed into a collection of companies, each exhibiting the strengths and character that we can be proud of, to be named after the Tembusu tree. Please click here for the profile of our businesses. The Tembusu tree is our logo. 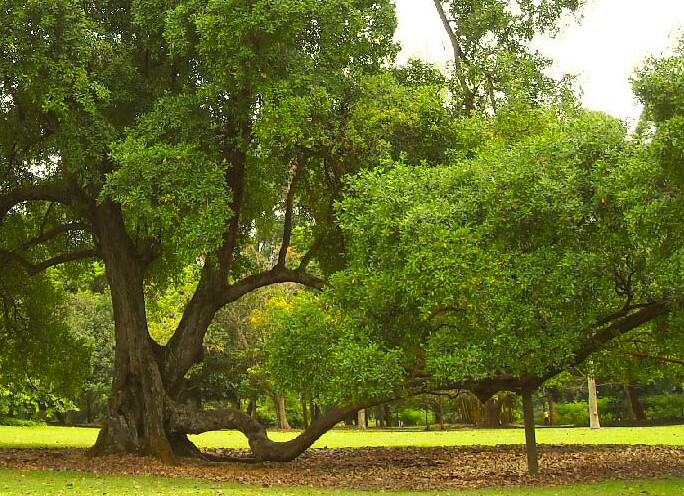 It is native to Singapore; our quasi national tree as it is featured on the Singapore five-dollar note. Tembusu trees are majestic in size, hardy and adaptable. It is enduring and can thrive and bloom even in poor and adverse conditions, with a life expectancy of up to 200 years old. Two magnificent specimens thrive in the Singapore Botanical Gardens. Children can be seen sitting and playing in the Tembusu trees’ low branches and they form a favourite backdrop for wedding photographs. Our logo is a stylised version of this gazetted heritage tree. When Tembusu trees flower, its flowering is gregarious, with all trees flowering together. Its creamy-white flowers open during sunset and give off a sweet perfume, hence the tree's name fragrans, attracting the birds which help in their pollination. In the Tembusu tree, we derive our inspiration to help our group of companies succeed in Singapore and the region.